Jamaica is more than sun and beach, it´s a melting pot of different cultures. Let´s discover the most amazing things to do in Jamaica, groove to its reggae rhythm and explore the island beyond its beautiful beaches. Jamaica is the third largest islet in the Caribbean, positioned just south of Cuba. Jamaica is the most diverse, colorful, and liveliest island in the Caribbean. As well, the isle is well known for music, coffee, rum and many eye-catching beaches. 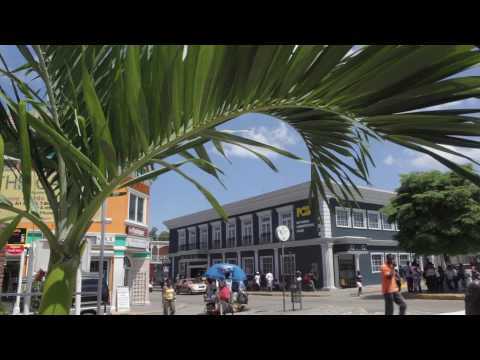 What are the best things to do in Kingston, Jamaica? There is so much to do during your stay in Kingston that you won’t be able to do even half of what you want – and part of the reason for that is that to do anything, you have to first tear yourself away from the beach! Kingston holds the key to rest and relaxation, find the best Kingston hotels here. This has got to be on your list of things to do in Jamaica: Reggae music! Today, there are a ton of museums in Kingston waiting to teach you the stories of those who are no longer here to tell them. Visit the Bob Marley Museum, The King of Reggae, even has his own museum, which is a great stop for all that know and love his music. The tour goes through his entire home and garden, included in this is a 20 minute film of his life. The cost is approximately $10 per person, but this is one place gets busy fast, so call ahead of time before making your way up there. For a taste of what life would have been like for those who were making it big in Kingston during the late 19th century, take a tour around Devon’s House which was a 2 story mansion built in 1881. Although what you see today is a restoration of the original building, you can still get a good idea of the elegance in which the owners lived. Lovely flowers are on our list of beautiful things to do in Jamaica. Anyone who loves gardens should visit the Castleton Gardens in Kingston. Located near Strawberry Hill there is always something in bloom for visitors to admire. You’ll see everything from trees, shrubs, bushes, lovely flowers, and beautiful lawns beside the river. The entrance fee is steep, but it does include lunch down by the river. The Kingston Craft Marketplace is open every day, except for Sunday. Here you’ll find many items from jewelry and carvings to T-shirts. A great place to buy a souvenir to take home! What things to do in Montego Bay Jamaica? Choose the best hotel deal for your stay in Montego Bay. What to do in Montego Bay, Jamaica ….. Most travelers arrive in Jamaica through Montego Bay which is the home of the North Shore airport, and the islands busiest cruise pier. As Jamaica’s second largest city, Montego Bay is located on the North West corner of the island and is Jamaica’s original tourist hot spot. Montego Bay is the second largest city in Jamaica, and the resort epicenter. The water of the beach is clear and the perfect place to take the whole family to a trip to Jamaica. There are another three beaches near Montego including Walter Fletcher Beach, Doctor’s Cave Beach and Cornwall Beach. All the three beaches are famous for water sports and sightseeing. Especially Cornwall Beach is always crowded and is surrounded by smooth, pasty, sugary sand. Top things to do in Jamaica for the more adventurous traveler. Rafting tours are a fun experience and can be guided or self-navigated on your trip to Jamaica. These tours encompass rafting down a peaceful river on a bamboo raft, or through some local white water. Fishing charters are available for angling enthusiasts or those looking to try out some spear fishing. Athletic travelers can also activities such as cycling, golf, horseback riding, and scuba diving Or discover more on a plantation tour. The Bob Marley experience is a new attraction featuring a documentary film on the legendary reggae great and a huge memorabilia shop. Montego Bay also has popular local shopping areas. Favored shopping centers include the City Centre, Holiday Village Shopping Centre, and The Half Moon Shopping Village. In addition, the shops around the airport provide a wide selection of tourist goods – although you’d be better to buy souvenirs in the city as this is where you’re likely to find some artifacts by local craftsman rather than mass produced commercial items. What are the things to do in Ocho Rios Jamaica? Don´t lock yourselves away in an overpriced all-inclusive hotel, find the best offers for hotels in Ochos Rios here. What to do in Ocho Rios, Jamaica …. The place is renowned for Blue Mountains. A visit to Ocho Rios takes you in the territory of flora and fauna of the Blue Mountains. Besides, the world famous coffee is cultivated in this region of Jamaica. There are many coffee plantations in this area. Tourists can taste the world famous coffee during their Jamaica vacations. Ocho Rios offers plenty of attractions and activities for tourists and locals alike. Enjoy a plethora of different water-based activities and sports on your trio to Jamica in Ocho Rios, from snorkeling and scuba diving to gliding down the White River on a bamboo float. Ocho Rios is also home to the famous Dunn’s River Falls, a major tourist attraction that can sometimes overwhelm with its many visitors, but is a definite not-to-miss attraction. At Dunn’s River Falls you’ll be able to climb a slippery, limestone-tiered waterfall with a guide, which is an experience unlike any other. Among the best things to do in Jamaica is swimming with dolphins. Be sure to check out Dolphin Cove, adjacent to Dunn’s River Falls, a gorgeous tropical retreat allowing you to swim with dolphins in their home territory, as well as view other undersea creatures, such as sharks, eels, stingrays, and a wide assortment of tropical fish and birds. Coyoba River Garden and Museum offers a real scenic and historical treat filled with lush tropical gardens, ponds, and waterfalls, as well as a fantastic museum with authentic Jamaican artifacts, giving you a real taste of true Jamaican culture. A trip to Ocho Rios wouldn’t be complete without experiencing the exciting, open-air marketplace – it’s large so remember a hat and a bottle of water! This is where local artisans sell their handiwork. However, if you’re going to wander around and perhaps haggle for an item or two to take home as souvenirs of your trip make you leave any valuables safe at the hotel, and take only the money you intend to spend at the market. Ocho Rios also offers great dining and nightlife experiences for the social butterfly, so after a day of sightseeing and activities, make sure to relax with a nice meal at one of the many restaurants, and then party into the night. What things to do in Negril Jamaica? Whether on the beach or the cliffs, choose the best hotel deal for your stay in Negril here. What is the best place to stay in Jamaica? On their trip to Jamaica, many people consider Negril as one of the leading family vacation destinations in the Caribbean. A Jamaica Negril all inclusive vacation offers a nice opportunity of exploring the beauty of the beach. Seven Mile Beach is the major tourist attraction of Negril. The beach is stretched over 7 miles down the west coast. The beach is famous for family vacations, though there are quite a few nudist patches. Going on safari is one of the coolest things to do in Jamaica. Negril is also famous for the Black River Safari. The Black River is a dwelling for crocodiles, so in the river you can find various rare species of crocodiles. The Negril lighthouse was built in 1894 and is still a mayor landmark today. It is worth the climb up the narrow stairs to enjoy beautiful views of the sea and the sunset. A distillery tour is among the fun things to do in Jamaica. 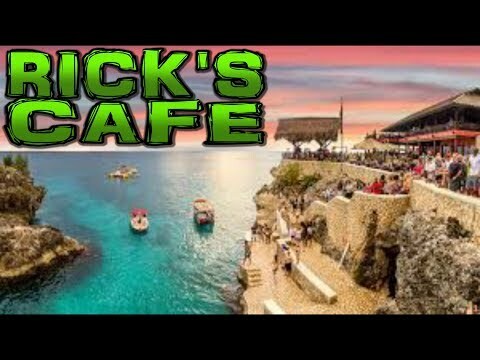 Rick’s Café is a preferred place for both Jamaicans and travelers, which is sited at West Point of Negril. Rick’s Cafe is a great place to go, jump, dance and watch the sunset, but there is no need to jump the 30 ft from the rock face, you can just enjoy others do cliff diving. Do you need a visa to go to Jamaica? No, tourists from the US, Europe, UK and other Commonwealth countries don´t need a visa for Jamaica. But you need a valid passport to go to Jamaica (valid for the period of intended stay). Only nationals of certain countries require and additional entry visa, which is normally issued, on application, by a Jamaican Consular office. We hope you are prepared for all the things to do in Jamaica, have fun!